Arrrgg! Do you have pirate fans at your house? We certainly do at my house. 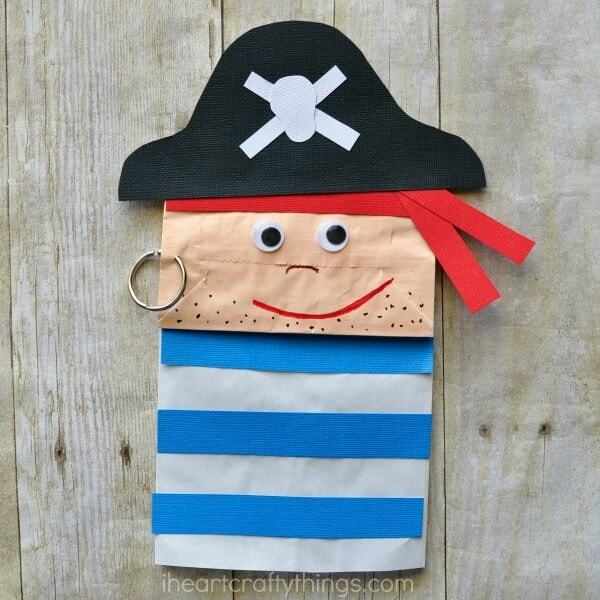 We’ve been sort of on a pirate kick lately and are excited to share our latest pirate craft with you today. 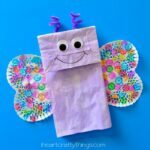 This paper bag pirate craft is not only adorable but since it is a puppet, your child will have a fabulous time getting to play with their puppet after making it. 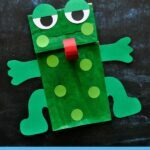 They can use it to put on a puppet show or to help read a favorite pirate children’s book. 1. Start by painting the bottom of your white paper bag with your skin tone paint. Let it dry completely. If you don’t have skin tone paint you could also color the bottom of the bag with a peach colored crayon. 2. Cut out a bandanna, pirate’s hat, stripes for your pirate shirt, and a skull and cross from your colored cardstock paper. See the picture below for how we cut out all the pieces. 3. 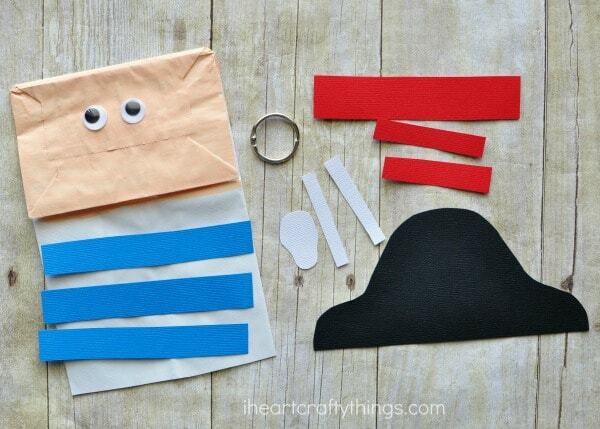 Glue the bandanna, pirate hate, shirt stripes and skull and cross onto your pirate craft. 4. Glue your googly eyes onto your pirate and use your markers to draw a nose, mouth and facial hair. 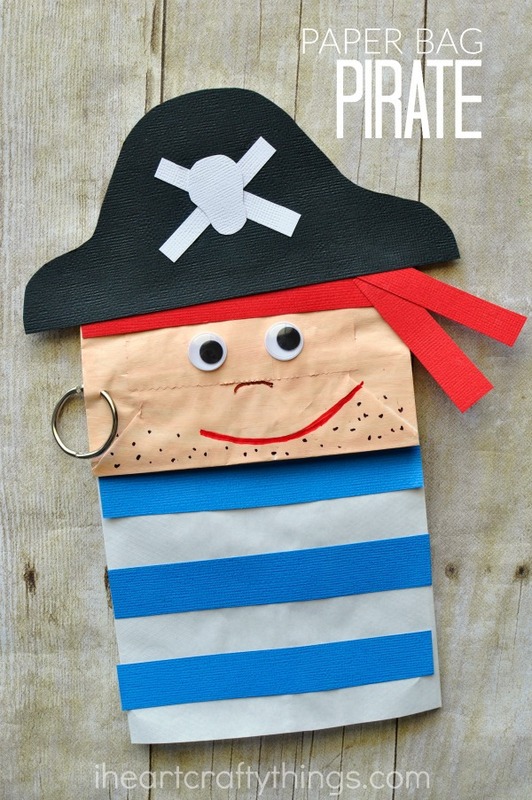 Finish your paper bag pirate craft by poking a small hole in the side of your pirate face, poke the binder ring into it and close it shut. 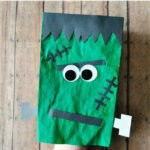 Now your paper bag pirate craft is all ready for play! 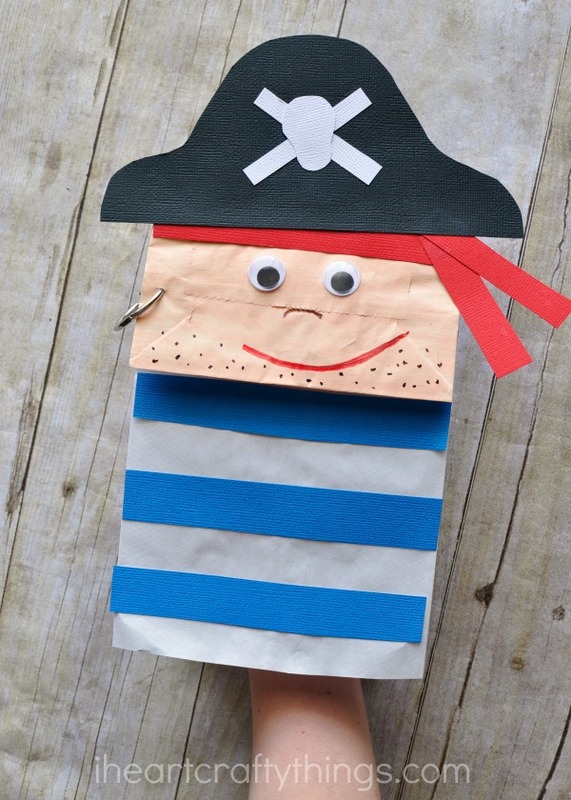 Simply put your hand inside the paper bag and have fun putting on a puppet show or having your pirate help you read a favorite pirate book.